The Garden Club sundial that resided in University of Georgia’s Founders Memorial Garden is missing.The sundial resided in the garden since shortly after its founding in 1938. According to The Founders Garden Director, David Nichols they noticed the vandalism a few days after the incident. They are hopeful to find the original rather than having to replace the sundial. He says this isn’t the first time the prized sundial has left the garden due to vandals. Twenty-five years ago the sundial made its way to the inside “of a fraternity house at Georgia Tech” and then returned to its home in the garden years later. But for now the garden will remain timeless. 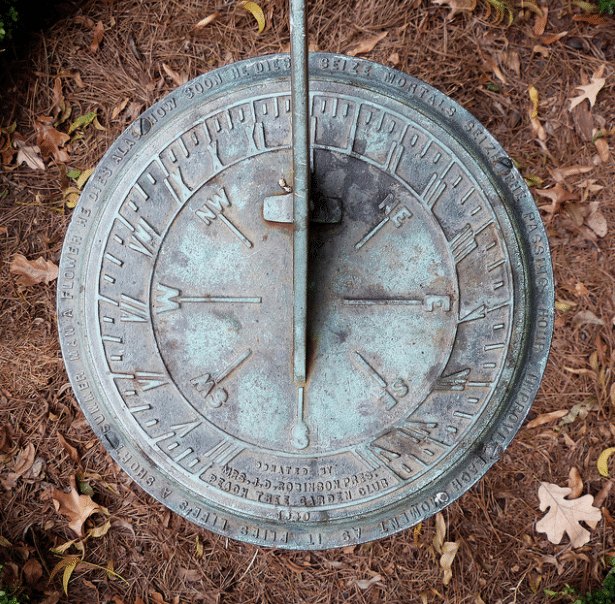 If you have any information on the missing sundial, please contact the UGA Police Department at (706) 542-5813.